Preserved sausage is very popular in southern part of China. 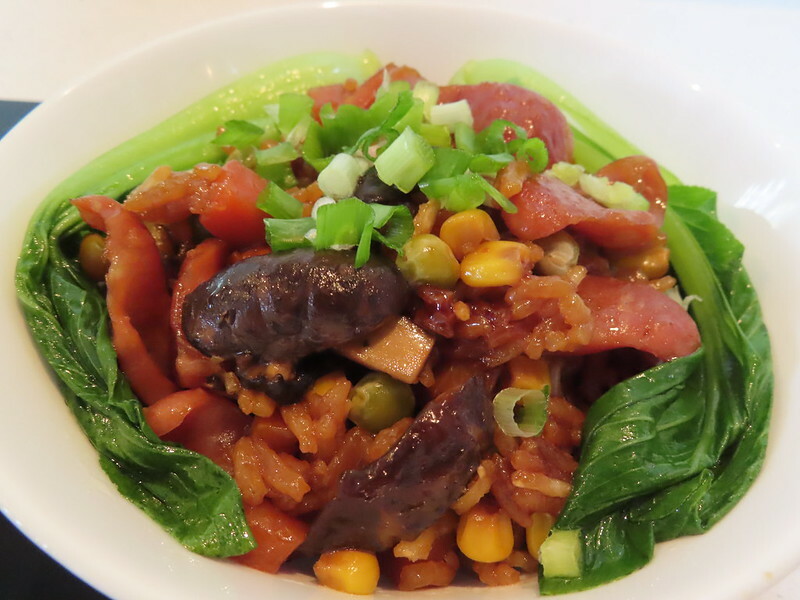 This one-pot sausage rice is very convenient. 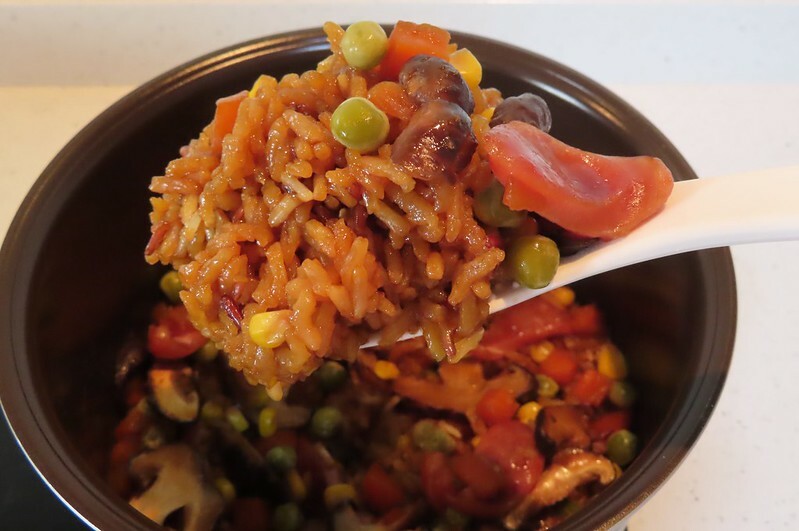 You just need to put all the ingredients into the rice cooker. Press the button and wait for it’s done. 1. Wash rice. Drain them. Put rice in the pot of a rice cooker. Pour in water. Usually ratio of water and rice is 2:1. I used 1/2 cup rice and 1 cup water. 2. Add in thawed carrot, corn and green peas. 3. 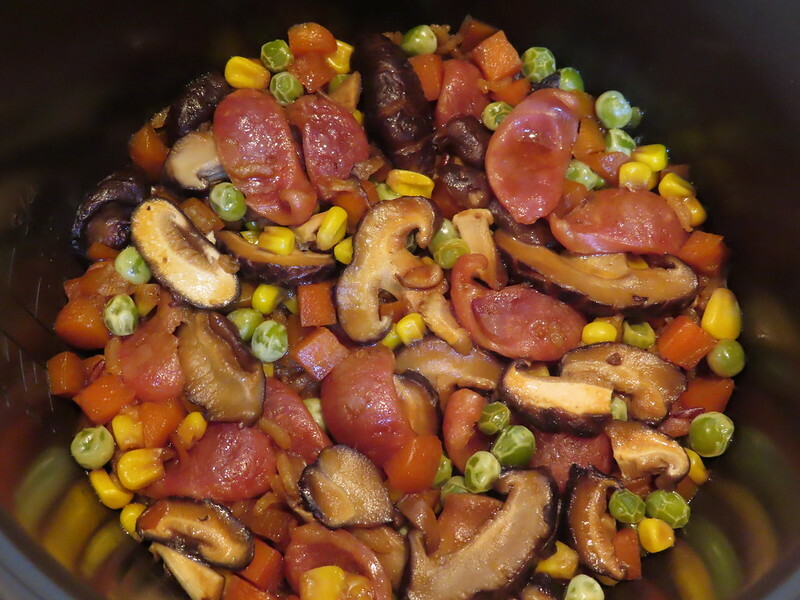 Cut several Shiitake mushroom & sausage into slices and throw them into pot. 4. Add in 1 tsp light soy sauce, 1/2 tsp dark soy sauce, 1 tsp oyster sauce, 1 tsp sugar. Stir a bit. 5. Lid on. Press the button. And wait.